A 550 winner in 2017? It’s fair to say that fingers were crossed going into the 2016 racing season. 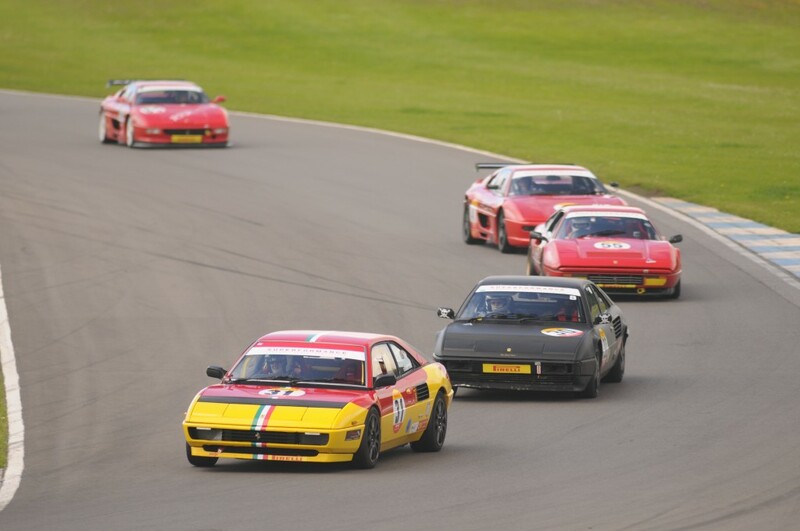 This was to be the first year when 355s, 550s and others were to be allowed in our formula classic series. Comparative historical laps times are one thing, but nobody could be entirely sure of the outcome of this change. As it turned out we need not have worried as we enjoyed bigger grids than previously and competitive racing throughout. Some 36 different drivers took part in the series in 30 different cars during the year. 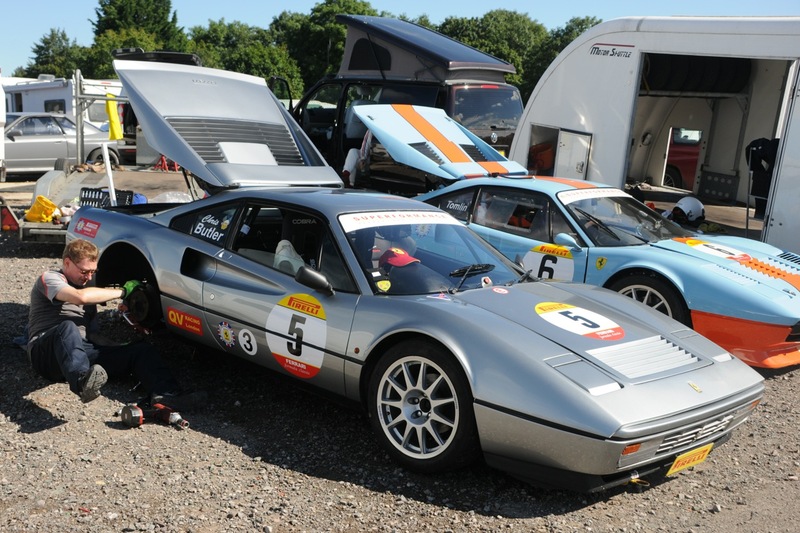 We saw no fewer than nine 355 Challenge cars plus a 550 in the new Group 5. 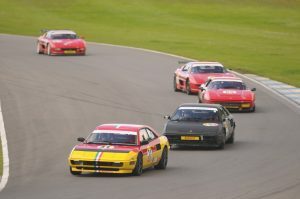 There were a total of six 328s and one Mondial in Group 4, four 328s in Group 3, five 308 GTBs plus one 308 GT4 in Group 2, and three 308 GT4s in Group 1. 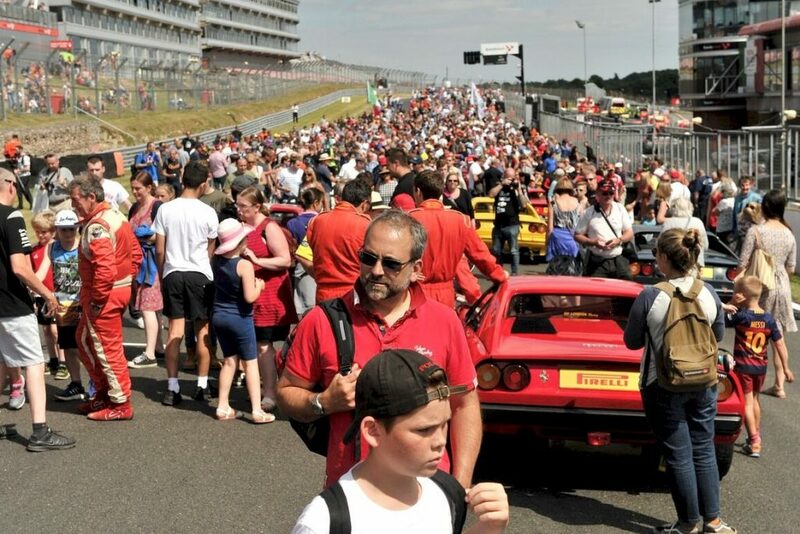 Our biggest grid was at the Silverstone finale at 24 and our average grid was very nearly 20 cars. 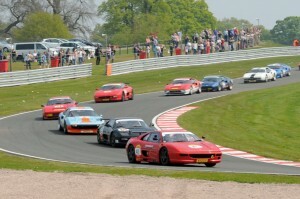 The entry at Oulton Park for our season opener was good at 19 cars and the racing was very close. In fact the podium of race 1 was 355, 355 & 328 (Moulden, Mogridge, Culver) with the second race being 308, 328, 328 (Tomlin, Cartwright, Culver). Frankly we couldn’t have scripted it better. 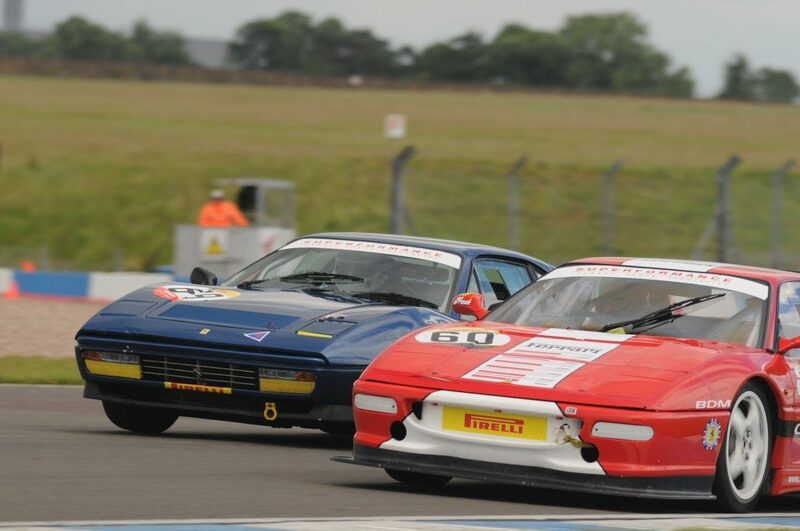 There were also series debuts for Richard Cook (355), Terry Simpson (GT4) and Steve Kirton (Mondial). 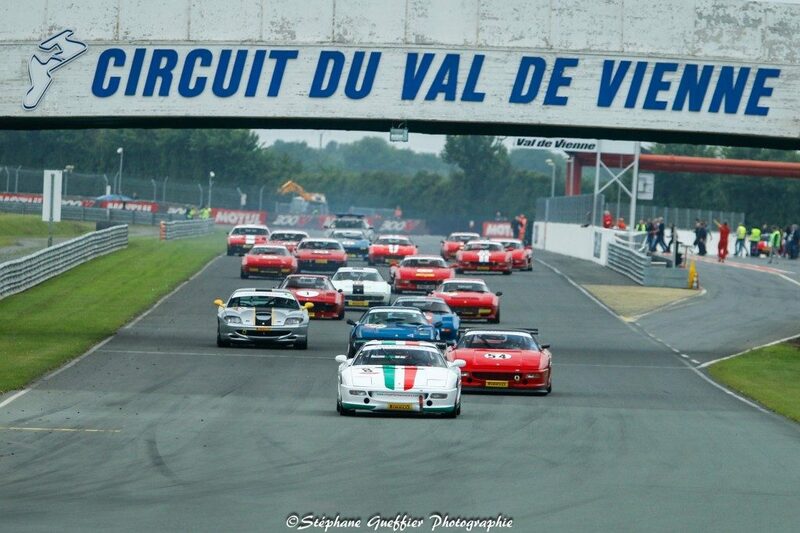 Moving to Val de Vienne for rounds 3,4 & 5 and the 500 Ferraris against Cancer event. The entry here was also pretty healthy, particularly considering the distance involved and the fuel shortages across France at the time. This was possibly the first meeting where the potential of Peter Fisk’s 550 could be seen. The long straight certainly helped the big car. A total loss of brakes at the end of this straight gave Peter the largest fright of his racing career (including he says racing bikes) but thankfully there was enough gravel in the trap to prevent any major damage. It was an excellent week-end enjoyed by all and I’m sure that we will return in the future. 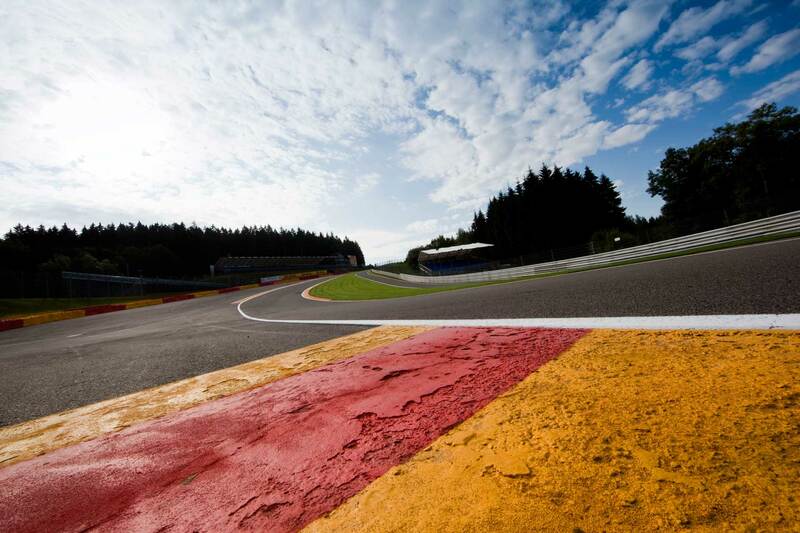 Rounds 8 & 9 saw our return to Spa Francorchamps. For once the weather gods were not on our side. It was not a vintage Spa with race 2 being seriously disrupted by a first corner incident. Gary Culver shone through the gloom though with some stunning driving to take both classic races. Rounds 10 & 11 by contrast were real highlights. 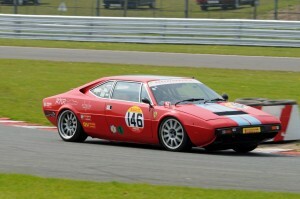 The Festival Italia meeting at Brands Hatch was a revelation. Great weather, big crowds, an amazing grid walk and the largest turn out of members to any club event in 2016. 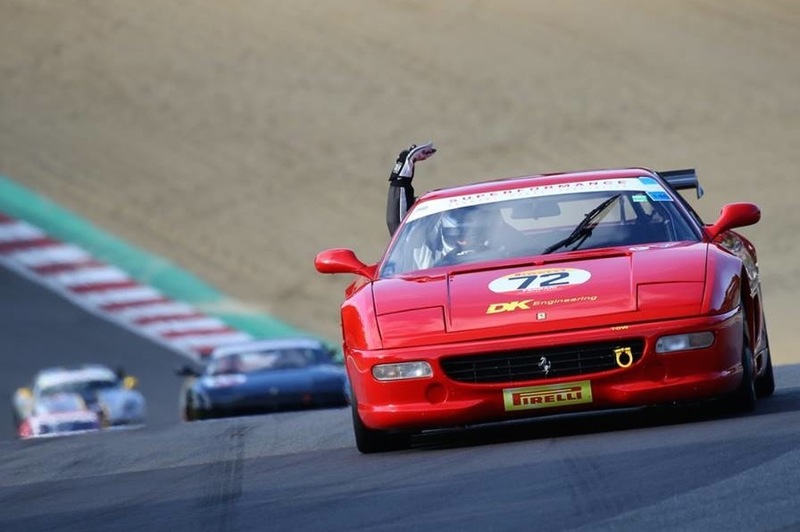 A resounding winner was novice Richard Cook who drove his 355 to pole position and a win in both races, plus fastest lap in race 2. It must have seemed like a dream and shows quite how accessible our club racing can be. On a more sombre note it was to be the last time we saw Richard Allen at an event. 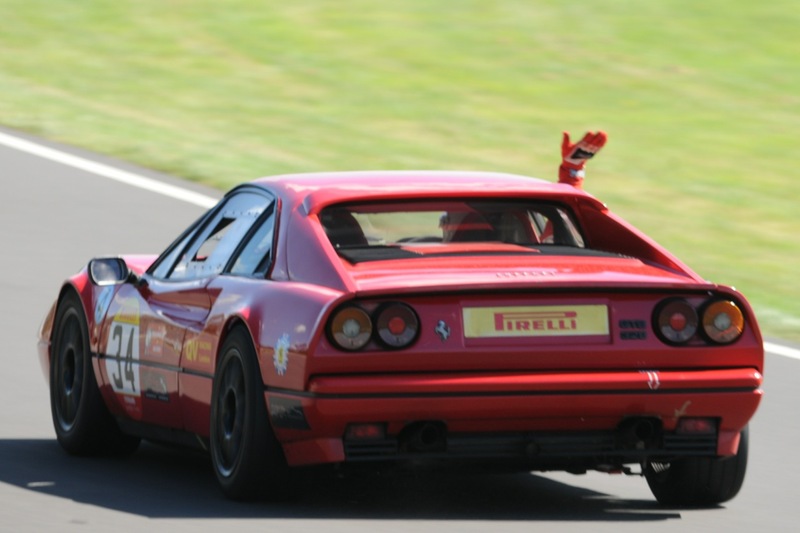 He proudly watched his old 328 GTB take a race 1 class victory in the hands of close friend Chris Butler. 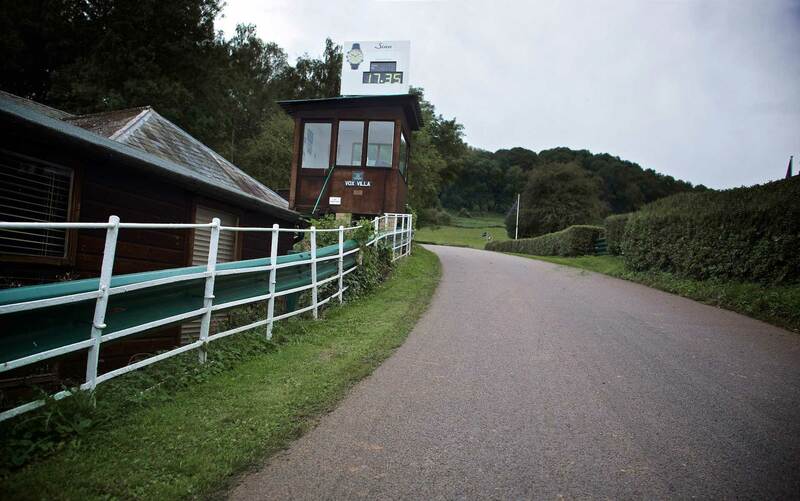 Rounds 12 & 13 on August Bank Holiday Monday – it has to be Castle Combe. This was a race meeting with an extraordinary number of incidents in other races, causing delay after delay. Dominant was the 328 of Gary Culver who is a master if this undulating Wiltshire circuit. The entry level was not the best and it was 16:45 hrs when our second race got underway. There was some good racing though with once again fastest laps being shared between the varios tipos. 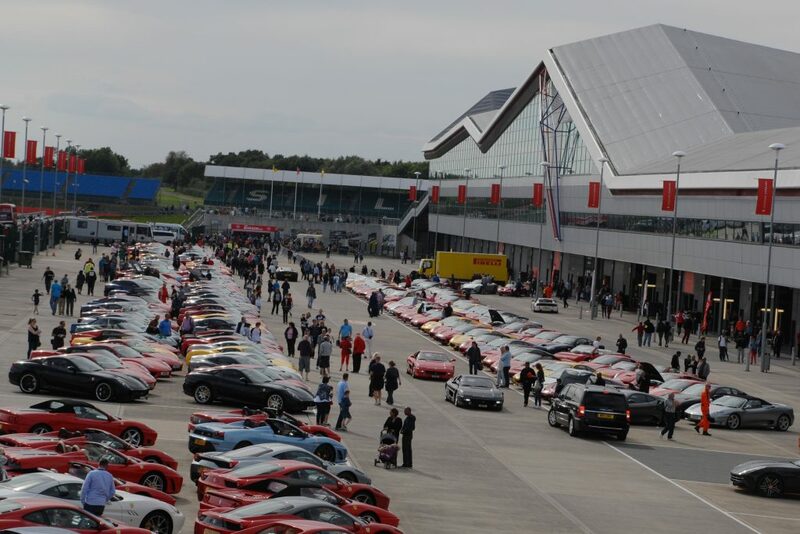 Our season finale on track was to be at the Ferrari North Europe Passione Ferrari event at Silverstone on the full GP circuit. It certainly didn’t disappoint with our biggest grid of the year including Series debuts for Len Watson and Andy Christopher. Our racers put on an excellent show both on track and in the paddock which will have impressed the many Ferrari dignitaries present. There was also a very large turn out of members giving us some excellent exposure. 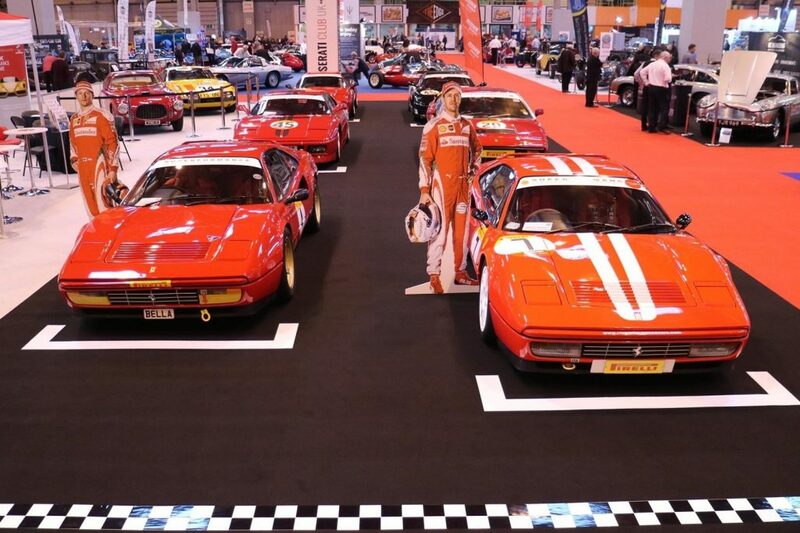 Also providing excellent exposure was our club’s superb display at the NEC Classic Car Show in November, with a grid of formula classic cars taking centre stage. The year finished on a high note with a reception at the Italian Embassy for the PFfc Competition Awards. The building itself is something special and the event in which we were welcomed by the Ambassador was superbly put on by the embassy staff. 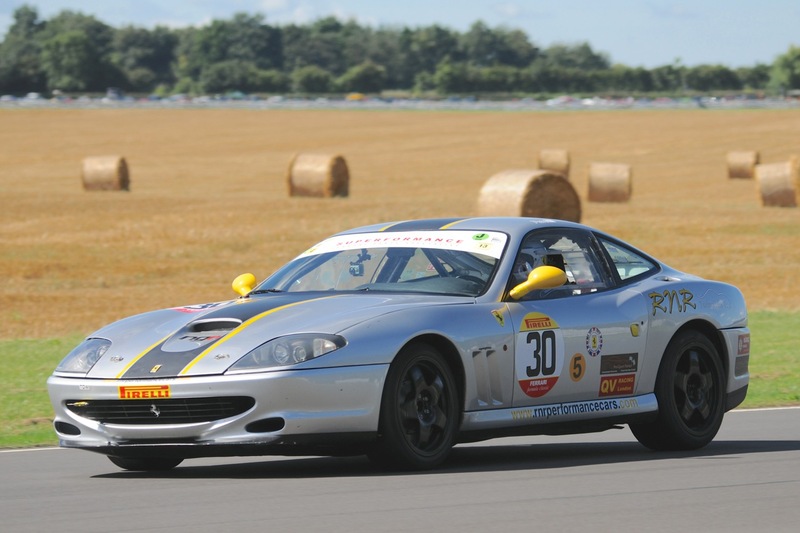 Awards were presented by representatives from Ferrari North East and Pirelli. Gary Culver in his introduction also mentioned the likely programme of races for 2017. We are still awaiting full and better details of the events but the race programme looks like this at the moment. 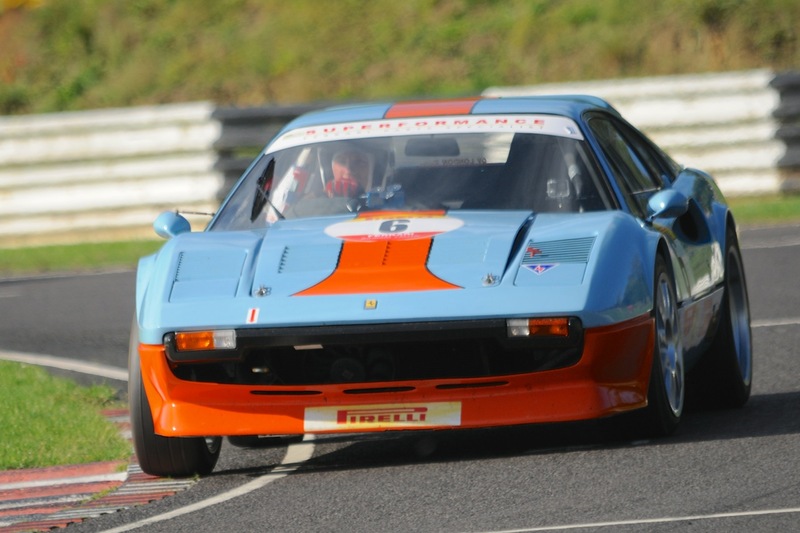 April : Castle Combe hosts the season opener on Easter Monday Bank Holiday. 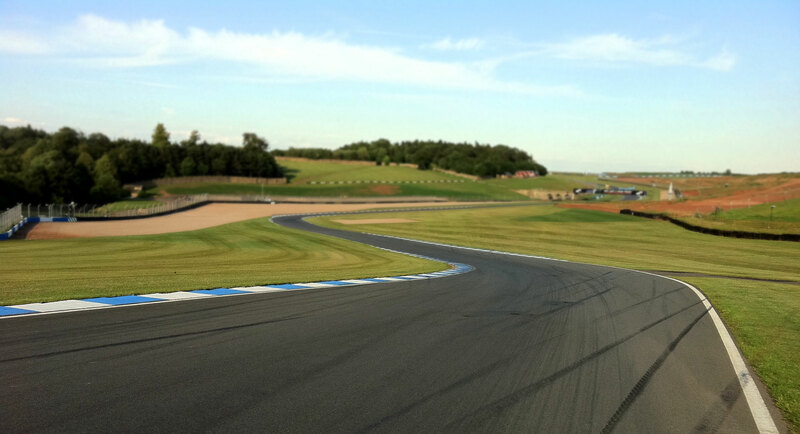 May : Knockhill will host a special event celebrating the Club’s 50th Anniversary. We will be on centre stage with 3 races. 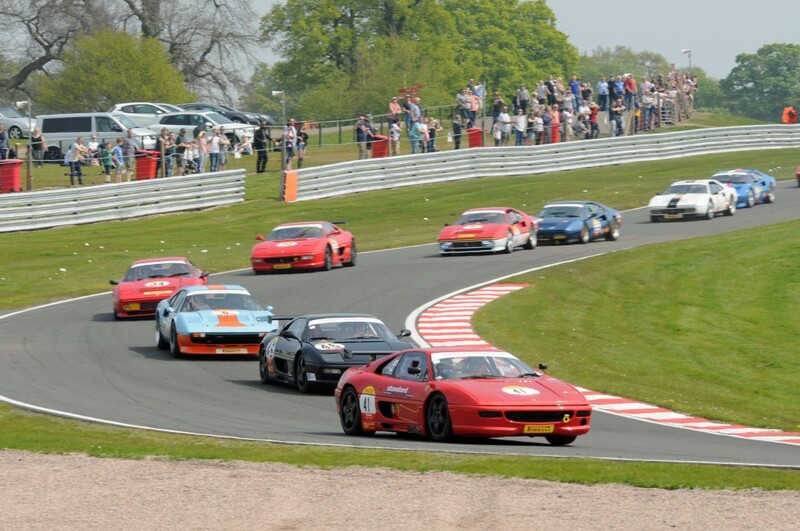 June : Oulton Park. Two races in an event run by the VSCC. We will be positively ‘modern’ amongst some very interesting race cars. June : Zandvoort for a Dutch Festival Italia, again we will be on centre stage and a beach party is a distinct possibility. 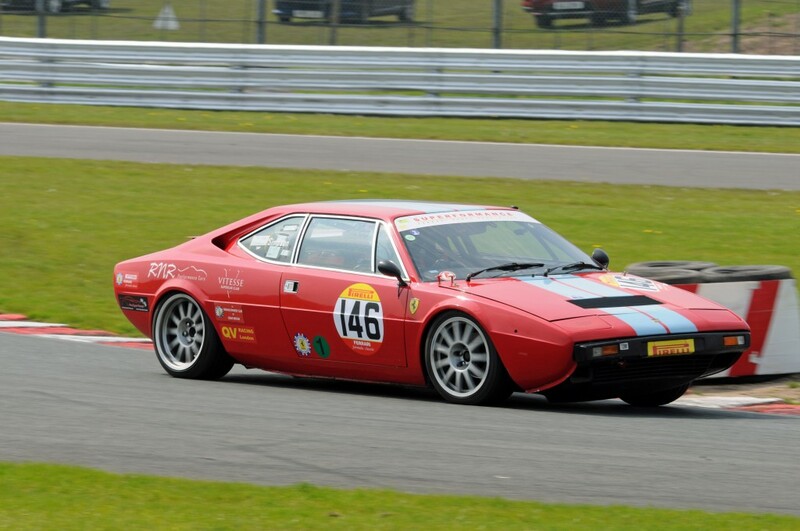 August : Festival Italia at Brands. Let’s hope as good as 2016. September : Thruxton for a BARC organised event on the superfast Hampshire circuit.